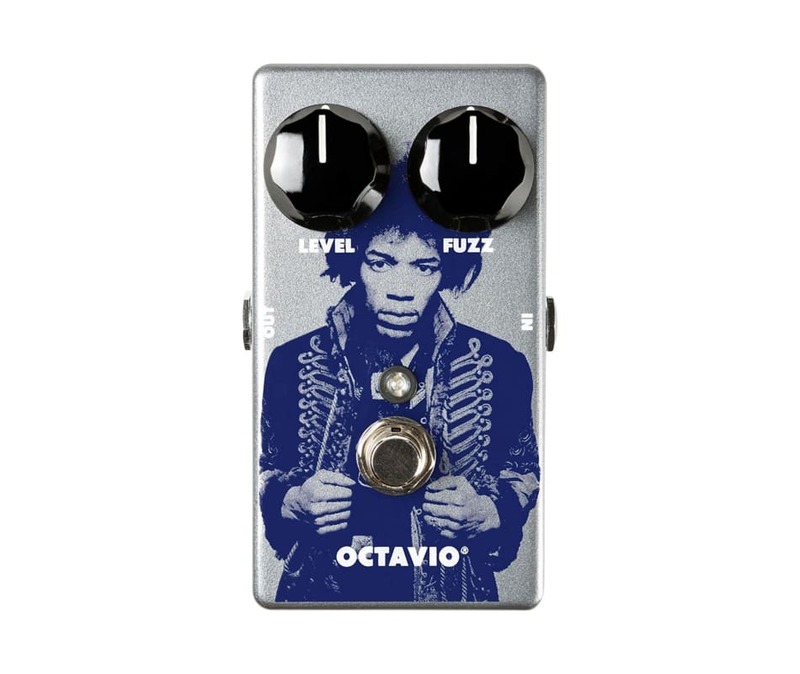 Jimi Hendrix Octavio Fuzz Pedal. Sporting the exact same circuit found in Jimis original "cheese wedge" Octavio Fuzz, this pedal not only provides the classic "octave up" effect that Hendrix utilized so potently on tracks such as "One Rainy Wish," and "Purple Haze," but its amazingly touch-sensitive response will inspire you to venture into uncharted sonic territory. This modern rendering of a classic one-of-a-kind effect features a status LED, true-bypass switching, a 9-volt power jack, and a much smaller Phase 90-sized enclosure emblazoned with colorful, iconic art from legendary rock artist Gered Mankowitz.